The nitrogen-filled, IP67 waterproof, shock proof, fog proof Sightmark Rapid AR 3-12x32 SHR-223 Riflescope gets you on target with precision optical quality packed in an elite, compact body. Built specifically for .223-cal. 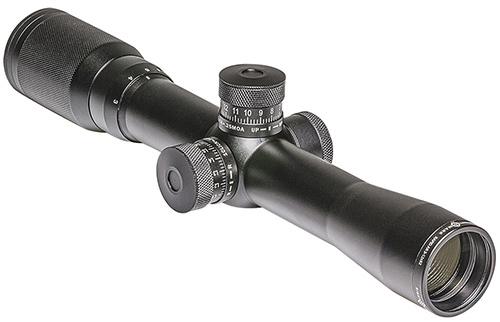 modern sporting rifles with a rugged 6061-T6 30mm tube and scaled perfectly for lightweight, fast-action professional and competition shooting, the Rapid AR Riflescope boasts an SHR-223 finely etched reticle, complete with red-illumination and calibrated subtension lines for .223-cal. bullet drop compensation. 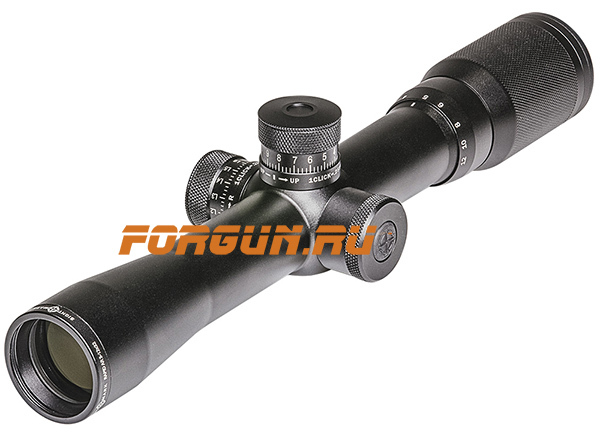 10 Reticle illumination brightness settings provide the intensity for daylight to no-light shooting. The generous 4.2” eye relief provides shooters with a robust field of view while an advanced, fully-multicoated, scratch resistant lens system, 3-12x magnification and an easy-to-focus rapid power rotation eyepiece work together to give razor sharp, lightning quick target acquisition. Whether your rifle is all business, all competition or all fun, exposed pop-up locking turrets deliver precise ¼” per click windage and elevation adjustments for superb tracking. The Sightmark AR 3-12x32 SHR-223 Riflescope is the perfect mid- to long-range second-focal-plane optic to make your mark.